When death comes, a bird’s body is often hidden . . . Birds seem to be all around us. But we rarely come across those that have died. And why? When birds suffer from illness or injury, they often seek safe, secluded places — hidden from view and potential predators. So when death comes, a bird’s body is hidden. And it doesn’t persist for long. Scavengers salvage what they can. Nutrients from the body return to the earth, enriching the soil. And small animals may consume the bones, a rich source of calcium. 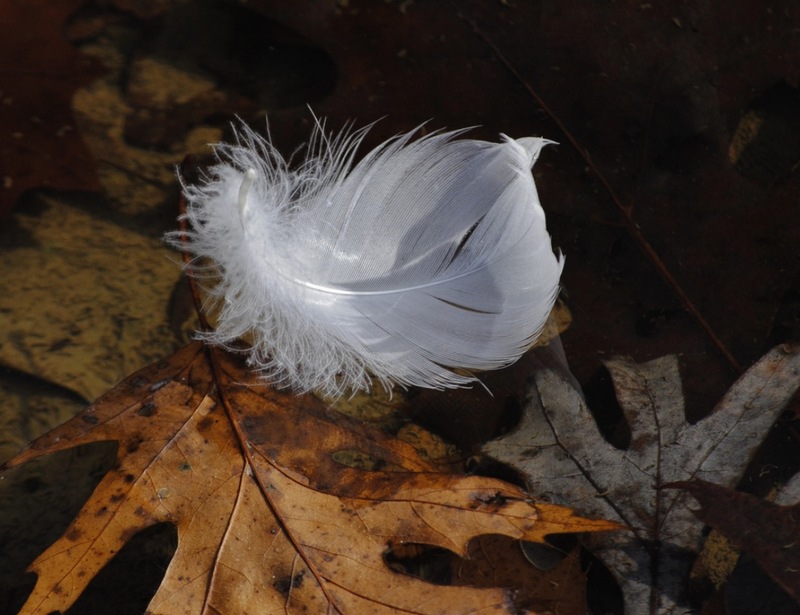 Soon, all that’s left are the feathers — reminders of the bird’s grace and beauty during its lifetime. Birds, with their natural grace and beauty, the magic of flight, stupendous feats of migration, and brilliant songs, seem to be all around us. But every bird, like all living creatures, at some point reaches the end of its life. And yet, despite the millions upon millions of birds in the wild, we rarely come across those that have died. It’s tempting to think there’s a secret, unknown place like the mythical “elephants’ graveyard” that birds are drawn to as they feel their life coming to an end. The truth is probably closer to a process that birds share with other animals. When birds feel weak or suffer from illness or injury, they may seek safe, secluded places in which to gather their strength and try to recover. Perhaps on the ground, under dense cover. Or perched deep in the shelter of thick foliage, hidden from view and potential predators. So when death comes, a bird’s body is hidden. It’s very light in mass for its size and doesn’t long persist. Scavengers salvage what they can. Nutrients from the body return to the earth, enriching the soil. And small animals may consume the bones, a rich source of calcium. In a very short time, all that’s left are the feathers. Reminders of the natural grace and beauty a bird showed us during its lifetime. Bird sounds provided by The Macaulay Library of Natural Sounds at the Cornell Lab of Ornithology, Ithaca, New York. BirdNote’s theme music was composed and played by Nancy Rumbel and John Kessler.